This is a medical grade microdermabrasion performed by Dr. Taylor which includes a green tea anti oxidant hydration mask. Ideal for sun damaged, acne prone or aging skin. These treatments are best when purchased as a series. Microdermabrasion is a medical grade treatment performed by Dr. Duane Taylor which involves a special particle exfoliation treatment of the face and neck combined with a cleansing and toning treatment for both men and women desiring healthy looking skin. It is ideal for reducing fine lines, controlling acne, hyperpigmentation and sun damaged skin. The optimum results are achieved through a series of treatments combined with a home care regimen. Obagi Blue Peel RADIANCE can improve your skin’s look, texture, and feel in a matter of minutes. A gentle chemical peel performed by Dr. Duane Taylor. Obagi Elastiderm Eye Complex Serum is a next-generation eye product in a roll on dispenser that helps improve the strength and resilience of the skin on the outside and underneath the eye area. This special particle exfoliation treatment is ideal for both men and women desiring healthy looking skin. Ideal for reducing fine lines. Great for controlling acne, hyperpigmentation and sun damaged skin. The optimum results are best achieved through a series of treatments and home care regime. *each session is 60 minutes. Our Newest line of skincare products is Elta MD sunscreens for all types of skin. Elta MD UV Clear for Acne-Prone hyperpigmented skin, it has SPF 46 with 9% micronized zinc oxide and high purity Niacinamide, it calms and protects sensitive skin, very lightweight, oil-free formula leaves no residue on the skin’s surface, use alone or under make-up. It comes in a convenient Airless pump container. Elta MD UV Daily SPF 40 with 9% micronized zinc oxide for very strong UVA and UVB protection, light, sheer daily facial moisturizer with UV protection for the face, either alone or under makeup. Glides on easily and absorbs quickly into the skin. Hyaluronic acid to increase skin smoothness softness and decrease fine lines, Paraben – free. Comes in an Airless Pump container. 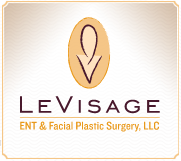 For more information on our Skin Care Treatments or to make an appointment, call us at 301.897.LVLV (5858).